Fans of Zafran can rejoice as the popular Indian bistro launches a new menu this week. The front cover features a collage of art and culture of India, a perfect illustration of the culinary journey one takes when indulging in the new menu. Putting his distinctive mark on traditional dishes, Chef Gaurav Singh has once again conceptualized a menu with regional favorites making a comeback and new, innovative dishes that promise to delight. From starters such as the hearty Yakhni Shorba, a rich lamb broth certain to warm you up on a cool night to home-style Onion pakoras and Rawa Fish Fry, the new starters are not to be missed. 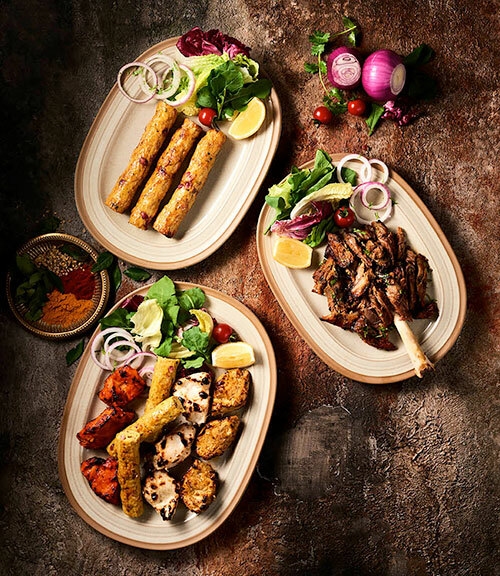 The success of previous limited menus has also prompted Zafran to include The Kebab Feast, which includes chicken, lamb and seafood. Other new main courses to try include the Raan Zafran, a braised lamb dish and the Ajwaini Prawns known for their distinct carom flavor. The flavorful Corn and Spinach Kebabs and the Paneer Tikka are certain to be popular with those looking for good, wholesome vegetarian fare. 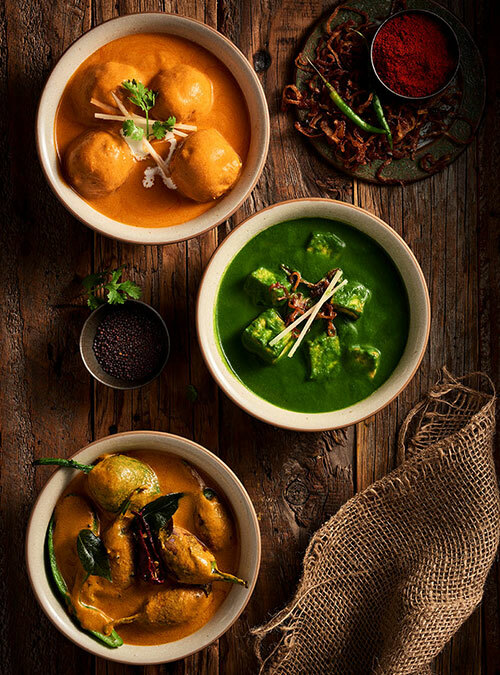 Not to mention main courses such as the Mirch Baingan Ka Salan and Bhindi Masala that take vegetables such as eggplant and okra and liven them up to another level.The true Indian food connoisseur, according to Chef, will appreciate the generous amount of heat in some of the new curries. In particular he suggests trying the classic Gosht Nihari and the Gosht Khairi Ka Keema, with the acetic flavor of the green mangoes in the latter adding a distinctive kick. The dessert menu has been enhanced to include Mango Malai Kulfi, Phirni and a Flourless Chocolate Cake that is truly to die, providing a sweet end to the meal at Zafran. “I am always looking for inspiration from my guests and my surroundings to ensure that the food we serve at Zafran is constantly evolving. This menu is inspired by my travels in India and the discerning palate of our ardent fans who asked us to bring back dishes that they have enjoyed from the limited menus we have served in the past year,” said Chef Gaurav. “Combining contemporary service culture with traditional Indian hospitality, Zafran Indian Bistro has managed to win the hearts and stomachs of diners across the region with its distinctive philosophy and palate. And this new menu will not disappoint! It is refreshing, varied and truly has something for everyone,” added Rakshak Puri, General Manager, Asian Dining-Foodmark. Zafran Indian Bistro is open to guests for lunch as well as dinner from 10 am – 10 pm on weekdays and 10 am – 11 pm on weekends.